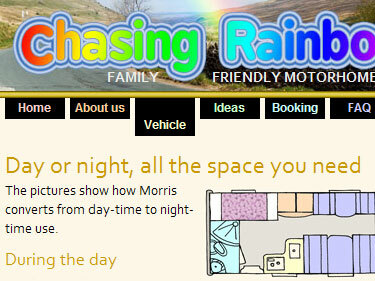 Chasing Rainbows offer family friendly motorhome hire on the edge of the English Lake District. This is the company's first website and was developed in close collaboration with owners Lisa and Chris Judson. In Lisa's own words, “Martin's really creative, has got some great ideas to share about what you've described, but is very keen to produce what YOU want at the end of the day. I can't recommend him highly enough”. The new site was released in June 2009.